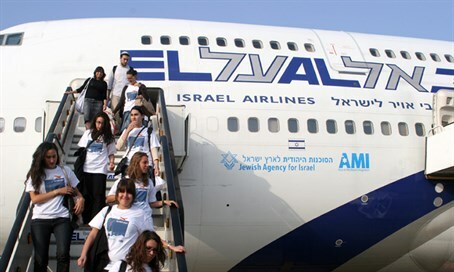 30,000 people made aliyah this year, largest amount in more than decade. All-time high of 7,900 from France. The Jewish Agency for Israel has announced that more than 30,000 olim [new immigrants] arrived in Israel in 2015. This represents an increase of 10 percent over last year, and the highest number in over a decade. The largest group came from France, with 7,900 new Israelis. This is an all-time record for the country. Jewish Agency Chair Natan Sharansky praised the figures, saying, "The high number of immigrants, particularly from western countries, attests to the drawing power of the Zionist idea. The fact that immigrants choose to come to Israel is a sign that Israel invests their lives with meaning that they cannot find elsewhere. This choice requires that we make every effort to enable them to become immediately integrated in the workforce and in the education system, so that they, like those who came before them, may put down roots in Israel and enrich Israeli society." Aliyah and Immigrant Absorption Minister Ze’ev Elkin (Likud) also expressed his happiness over the thousands of Jews who are making their new home in Israel: "We are in a rare window of opportunity. While we are busy with the day-to-day problems of Israel, we did not pay attention to this year’s great development: the number of immigrants exceeded 30,000 for the first time in more than a decade. The number of immigrants rose by 50% in the past two years, and we haven’t heard the last word. It is our duty to do everything necessary to take advantage of this rare opportunity and invest efforts in both immigrant absorption and Aliyah encouragement, so that a figure of 50,000 immigrants in one year does not seem imaginary. If we will it, it is no dream." About 3,770 olim came from the US and Canada this year, a slight decrease from last year's 3,870.